Prater converted his only field-goal attempt and lone PAT during Sunday's victory over Green Bay. He also completed his only pass attempt for an eight-yard touchdown. Prater went three-for-three on his field-goal attempts during Sunday's 27-9 loss to Minnesota. Analysis: Prater somehow had a serviceable fantasy outing despite the Lions' significant struggles moving the ball against Minnesota's fourth-ranked defense. Having converted multiple field goals in just four of his last nine outings, the strong-legged Prater appears to be a low-floor, high-ceiling fantasy option at this juncture in the season as Detroit approaches its Week 17 season finale in Green Bay. Prater missed his only field-goal attempt but made his only PAT during Sunday's 14-13 loss to Buffalo. 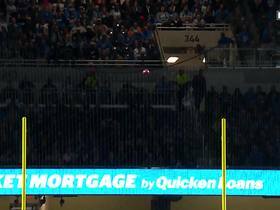 Analysis: Prater made a critical miscue on a missed 48-yard field goal attempt that would've given the Lions the lead in the final frame -- which marked the veteran's first missed field goal in the fourth quarter over the past three seasons. Given the Lions' massive offensive struggles in the absence of Marvin Jones (knee), Kerryon Johnson (knee) and Golden Tate (traded), it isn't wise to bet on Prater getting many opportunities to rebound during Detroit's tough Week 16 matchup against the Vikings. Prater made his only field-goal attempt and both of his PATs during Sunday's 17-3 victory over Arizona. 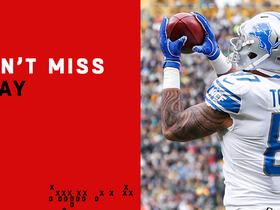 Analysis: The Lions easily won the defensive battle Sunday, but only marginally won the offensive battle while playing in an offense devoid of difference makers outside of receiver Kenny Golladay. In fact, Detroit's pick-six late in the third quarter was the only reason the Lions won by two scores. These struggles only allowed Prater one chance at a field goal, and it could be hard for the offense to afford the kicker more tries in a tougher matchup in Week 15 against the second-ranked Bills defense. Prater converted all three of his field-goal attempts and his lone PAT during Sunday's 30-16 loss to the Rams. 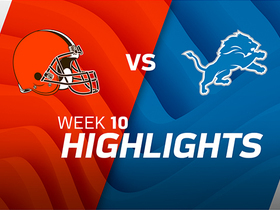 Analysis: The Lions' inability to convert in the red zone gave Prater a number of opportunities to rack up points, and the veteran responded with his fourth performance with at least three successful field goals. 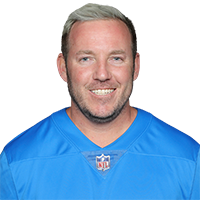 Now 23-for-26 on FGAs in 2018, Prater will proceed into Week 14 as a quality fantasy option in most formats. Prater converted his lone field-goal attempt and his only PAT during Thursday's 23-16 loss to the Bears. 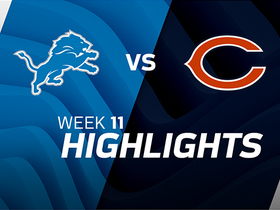 Analysis: Going up against the Bears' third-ranked scoring defense (19.2 points allowed per game), the Lions predictably had trouble moving the ball most of the game. However, the veteran could be in for a bounce-back effort in Week 13 when the Lions host the Rams' 23rd-ranked scoring defense (25.6). Through 11 games, Prater has successfully converted 20 of 23 field-goal tries and all 22 of his PATs. Prater converted both of his field-goal attempts and both of his PATs during Sunday's 20-19 victory over Carolina. 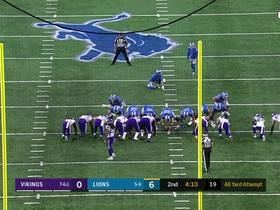 Analysis: Prater's day could've been even bigger had a delay of game penalty not forced the Lions to punt after the team initially lined up for a 58-yard field goal attempt. Prater was otherwise perfect from 32- and 54-yards out. Look for the veteran to again be one of the most trusted kickers in the league in Week 12 against the Bears. Prater converted his only field-goal attempt as well as his only PAT during Sunday's 34-22 loss to the Bears. 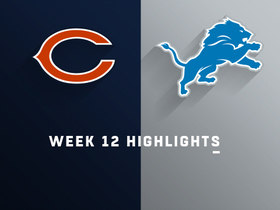 Analysis: The slumping Lions offense fell prey to a vicious Bears defense, and Prater's production once again suffered as a result. However, fantasy owners can at least be thankful that the kicker's one chance at a field goal came from 50 yards out, a distance from which Prater has now made two of four this season. Detroit should have an easier time offensively in Week 11 when the Lions host an overrated Panthers defense allowing 25.8 points per game, the 10th-most leaguewide. Prater converted all three of his field-goal attempts during Sunday's 24-9 loss to the Vikings. 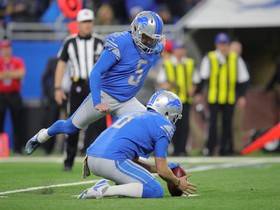 Detroit Lions kicker Matt Prater boots a 54-yard field goal for his longest of the year. 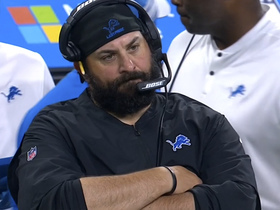 Detroit Lions head coach Matt Patricia and fans react to Detroit Lions kicker Matt Prater's missed field goal. 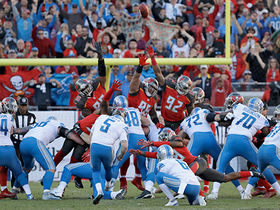 Detroit Lions kicker Matt Prater drills go-ahead field goal with 25 seconds left in the game. 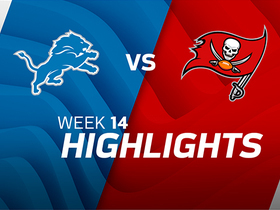 NFL Network's Peter Schrager talks about what he learned in Week 11 about Lions having two great Matthews in QB Matthew Stafford and kicker Matthew Prater.